Raisins have been around as long as grapes have been growing. We're all familiar with , , and sweet bursting with juicy raisins and most have childhood memories of getting a burst of energy from snacking on plump raisins out of hand. Did you know raisins are also wonderful in savory foods? 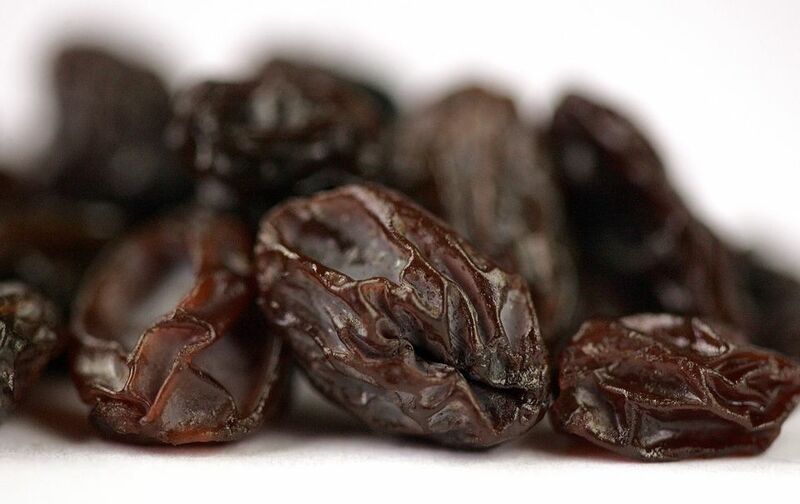 Before trying one of the many raisin recipes (linked below), learn a little bit more about different raisins and which ones to choose for your recipes. The majority of the world's supply of raisins comes from California, dried from Thompson seedless (95 percent), muscadine, or Black Corinth (Zante) grapes. In 1873, California suffered a devastating drought which literally dried the grapes on the vine. Looking to recoup some of the grape crop, an enterprising marketer in San Francisco sold the dried and shriveled grapes as "Peruvian Delicacies," and the California raisin industry was off and running.